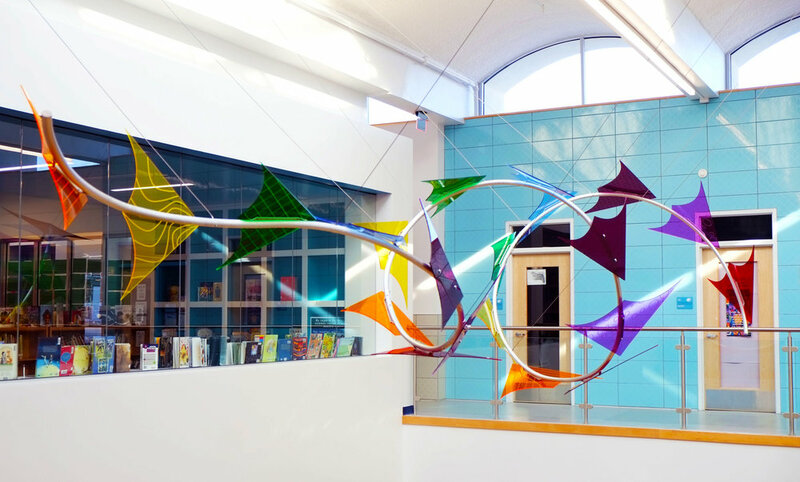 Tailspin is a permanent suspended sculpture created for Marie Reed Elementary school located in Washington DC. The piece was inspired by the yearly kite festival that is held on the grounds of the Washington Monument, which is visible from the school. 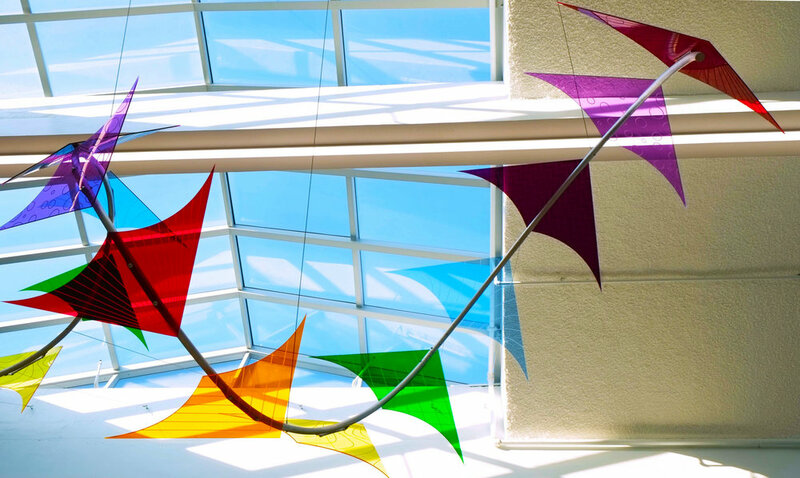 Made with an aluminum frame, and 21 CNC engraved acrylic kites, the pieces hangs in a two story atrium below a skylight. The artwork measures 26 feet long, 7 feet wide, and 5 feet tall.